MARA Digital Malls, which were designed for Bumiputera entrepreneurs, have garnered a total sales of RM37.7 million since its inception on Dec 8, 2015, up to January 2018. 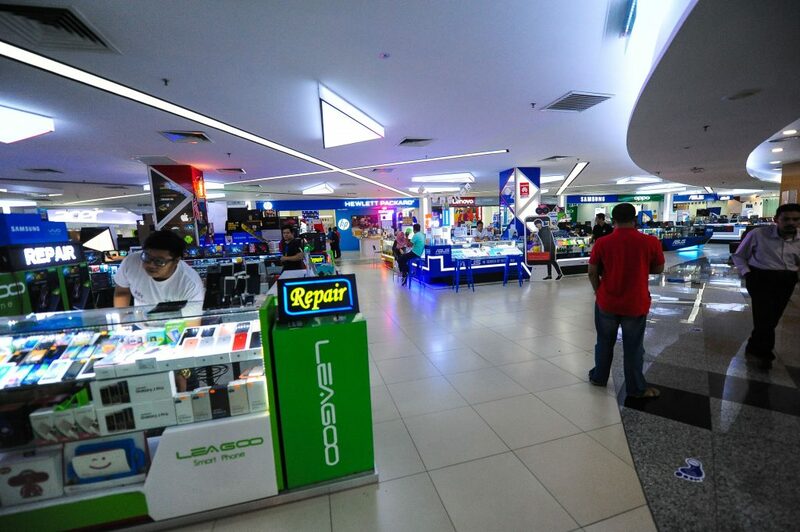 Deputy Rural and Regional Development Minister Datuk Alexander Nanta Linggi said the sales were gained from some two million visitors to four MARA Digital Malls nationwide. At present, there are four such malls in Kuala Lumpur, Shah Alam, Ipoh and Kuantan. “The 109 lot space offered in the malls have been well utilised by 89 entrepreneurs,” Alexander told the Dewan Rakyat yesterday. He was responding to Sungai Besar MP Budiman Mohd Zohdi who asked the government to state the performance of MARA Digital Malls nationwide. In December 2016, Rural and Regional Development Minister Datuk Seri Ismail Sabri Yaakob reported that the MARA Digital Malls had recorded a turnover of RM18.4 million as of November that same year. Today, however, the malls have been reported to be struggling to achieve sales targets and prep up Bumiputera information and communications technology (ICT) entrepreneurs. Alexander said MARA Digital Malls are facing difficulties in competing with conventional ICT malls in terms of monopoly and profit margins. “The one advantage the malls have is that they are able to offer the same product for a slightly cheaper price due to the affordable rental rates imposed by MARA,” he said, referring to Majlis Amanah Rakyat. The deputy minister added that MARA’s main goal is not profitability, but the opening of Bumiputera enterprises in the ICT sector, as well as to break away the monopoly of certain segments. “The malls serve as incubators for Bumiputera entrepreneurs — that is why we want to open one mall in every state,” said Alexander. This entry was posted in Korporat, Pelaburan, Usahawan. Bookmark the permalink.